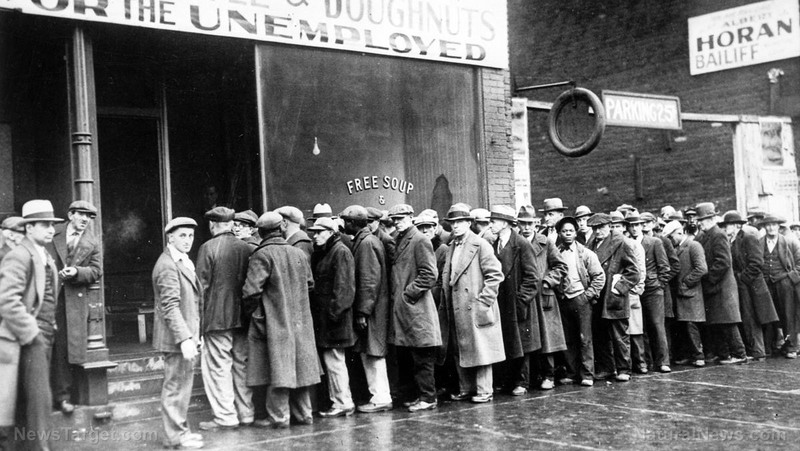 (Natural News) The Great Depression was a low point in our history (pun intended), but in our collective experience of it, there are life lessons to be learned. Regardless of whether or not we are heading towards the same conclusion (hello, crypto-currency crashes), it would do well to remember some basic life hacks. It is, after all, always better to be prepared than sorry. Find food and medicine wherever you can – During SHTF situations, the most important thing to have is access to clean water and food. Thankfully, a number of edible plants can be found right in your backyard. In an informative piece posted on Mother Nature Network, some plants to take note of are: blackberries (boil the roots to make a tea to stop dysentery), dandelions (these medicinal plants have more vitamin A than a carrot), flowering dogwood (this can reduce fever), grapevine (this can produce drinkable water when cut), elderberries (which are high in vitamin C; make sure to cook them first though to prevent digestive issues), Joe-Pye weed (otherwise known as gravel root or kidney root, this helps pass kidney stones), and broadleaf plantain (which can reduce inflammation when made into a poultice). Know how to cook (or at least know basic hacks) – Not everyone is meant to be Gordon Ramsey, but that doesn’t mean you should completely ignore the importance of cooking a palatable meal when the need calls for it. There are lots of ways to make various dishes using cheaper alternatives. This can prove useful when other items run out. For example, there are cake recipes that do not call for butter or eggs. You can even make pie crusts from graham crackers or Ritz crackers when flour is unavailable. During your own recession, there are many simple recipes to try using good, cheap ingredients. Don’t put all your eggs in one basket – This is a lesson that needs to be emphasized, impending recession or no: Learn to diversify your money. Where many people fail in their financial literacy is their ignorance (or perhaps feelings of invulnerability) towards economic stability. Remember that innocence or naivete is only cute in stories; money is something that should be taken quite seriously. Banks can experience failures; online currencies can crash. For moments like these, it would do well to have items that you can barter in a free-trade market. Things like jewelry or gold will always have their value. A good rule of thumb here is: if you can feel it or touch it, it can be traded for something else. Another good recommendation is to educate yourself on a useful trade, such as sewing. Bonus: Be creative – There are mobile apps that can help you find better ways to save money. Some of these include ones that allow you to scan whatever it is you’re buying and finding a coupon or a store with the cheapest price. There are also apps that keep track of your daily or monthly budget. Following this religiously will prevent overspending. In this age where everything and anything can be had at a push of a button, we’re more at risk of dissolving into chaos during emergencies. Let’s take a leaf out of our grandparents’ book and learn a few survival strategies.